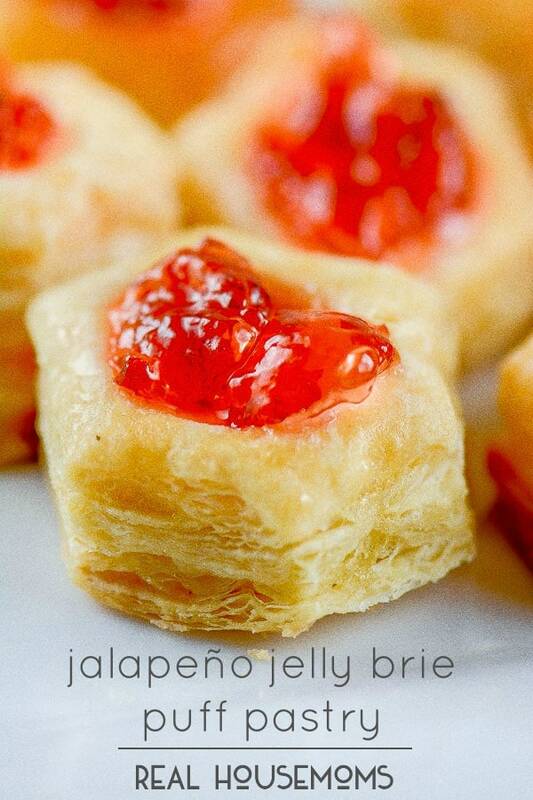 Jalapeño Jelly Brie Puff Pastry are cute little sweet and spicy yummy bites of flaky, creamy goodness! With graduation, and end-of-school parties coming soon, I want something easy, yet yummy to eat. This fits the bill perfectly because it has only 3 ingredients, so even the kids (or the hubby) can make it, and the combination of flavors and textures are out of this world. These sweet and spicy little bites are also versatile enough to serve at a more formal gathering or just a casual backyard bash. Heck, I like them enough just to serve for the family. The jalapeño jelly is sweet and mildly spicy. However, if you don’t like spicy, you could substitute it with another type of jelly. The son of one of our good friends is graduating this year, and has requested I bring these little babies to his graduation party. I will make a double batch because I know they will go fast. Mr. Flavor Mosaic also requested that I make these for an office party. 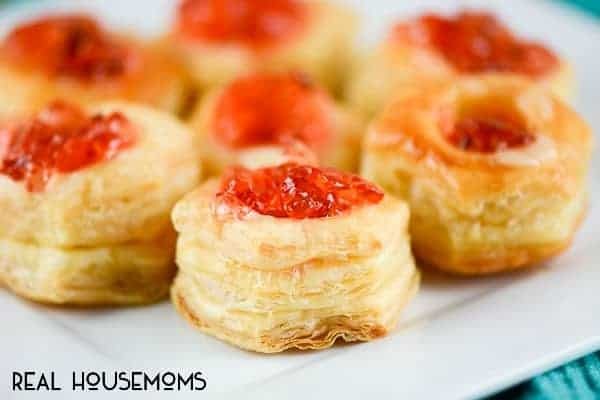 No matter what type of party or gathering it is, these little cups of Jalapeño Jelly Brie Puff Pastry will be a hit. For which occasion will you be making these spicy, yummy little bites of Jalapeño Jelly Brie Puff Pastry? Sweet and Spicy bites of flaky puff pastry cups topped with creamy, melted brie, and sweet and spicy Jalapeño Jelly make these yummy appetizers perfect for any party. Preheat oven to 400 degrees F. Baked puff pastry shells according to package directions. Remove and set aside. Cut brie into 24 1/2-inch cubes. Place 1 cube of brie and about 1/2 teaspoon jalapeño jelly into each puff pastry shell. Bake for an additional 5 minutes or until the cheese is melted. 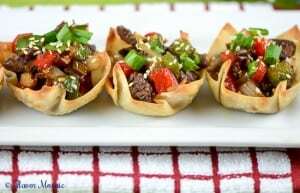 If you like this recipe, be sure to try my Pepper Steak in Wonton Cups on Flavor Mosaic. 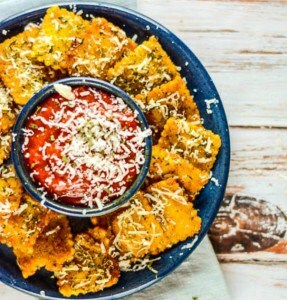 Or you might like these Ritz Fried Ravioli for a fun party appetizer. I am a wife, sister, dog mom, food lover, chocolate lover, and software administrator by day and a food blogger and recipe developer by night. My husband, me, and our yellow lad, Rosie, live in Southeast Texas. In my free time, I love to cook delicious quick & easy, budget-friendly recipes with a mosaic of flavors.